Marine insurance is split into two distinct entities: personal marine and commercial marine. Pleasure craft insurance – covers accidental damage to your boat, gear, supplies, fittings and equipment on the boat, including life jackets and boat maintenance tools. Personal transit insurance – covers damage to your household or personal goods whilst they are transported within New Zealand. Commercial hull (vessel) insurance – provides cover for individuals who work on the water in the event of an accident that affects their vessel and their ability to earn income. 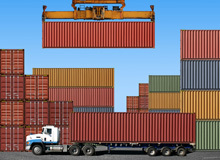 Cargo and transit insurance – covers product that could be shipped or transported locally and internationally. O’Connor Warren Marine is one of our seven ‘core competencies’ – areas of expertise that bring together our clients with our extensive technical capabilities. As a New Zealand-owned business, O’Connor Warren Insurance Brokers values the significant contribution that the commercial marine sector makes to our economy. Through our specialist capabilities and knowledge, we understand the challenges that the marine sector faces. 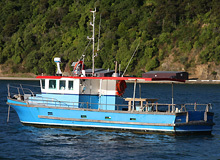 Our team has an intimate knowledge of the marine sector; within the O’Connor Warren Marine family are a number of long-standing key clients that operate commercial fishing, crayfishing and general working vessels. 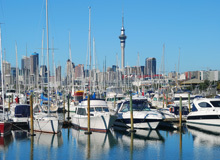 During our 35 years working with the marine sector we have aligned only with New Zealand’s finest insurers that understand both the marine sector and our company’s objectives. Our success lies in meeting your needs and expectations by delivering a market-leading marine insurance model.